In the law of contract, privity of contract means that it is only parties to a contract that can benefit or be subjected to obligations under such contract. Thus, as a general rule no individual can suffer burden or enjoy benefits in contract to which he isn’t a party. This principle is in line with other fundamental principles of the law of contract such as: freedom of contract, personal liberty of contracting parties, choice of parties etc. This principle was firmly established in the case of Dunlop Pneumatic Tyre Co vs. Selfridge Ltd (1915) AC 79. In this case, the plaintiff had an agreement with a dealer that he shouldn’t sell their product below a certain price. They also made the dealer promise to extract this same promise from other people they sold to. The dealer subsequently sold to the defendant and made him promise not to sell below the ascertained price. They even agreed that for every good sold below the ascertained price, 5 pounds would be paid to the plaintiff. However, the defendant sold below the price and also didn’t pay the 5 pounds. 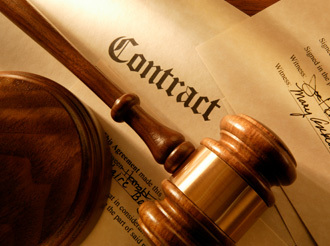 Thus, the plaintiff sued to enforce the agreement between the dealer and the defendant. The court held that the even though the defendant breached the agreement between it and the dealer, the plaintiff was not a party to the contract and it did not furnish consideration for the promise. The operation of the concept of trust. These exceptions would be further explained below. Exception to Privity of Contract. 1. Covenants running with the land: These are covenants which restrict the use of land. They are obligations entered into voluntarily by a user of the land which binds subsequent use of the land. The rule was established in the locus classicus of Tulk vs. Moxhay (1848) 2 Ch. 774. In this case, the plaintiff owned some plots of land and sold the garden in the centre to a certain Elms. He made him agree not to build on it but preserve it in its existing condition. After a series of conveyances, the land was sold to the defendant. The defendant, although knowing about the restrictive covenant, proposed to build on it. Thus, the plaintiff sought an injunction against the building of the purposed structure. The action succeed on the ground that the defendant had prior knowledge of the covenant. In order for a restrictive covenant to be enforced, it has to be to the knowledge of the defendant. Also, it the original vendor needs to have other land in the vicinity which would benefit from the restrictive covenant. 2. Contracts of charter-party: This is a situation in which a ship is hired out to a During the subsistence of the hire/charter party, the ownership of the ship changes. Thus, if the new owner decides to interfere with the rights of the hirer, can the hirer sue to prevent the new owner from interfering in his rights even though the new owner wasn’t a party to the initial contract? In the case of Lord Strathcona Steamship co vs. Dominion Coal Co (1924) AC 128, a ship was chattered to the respondent for a period of ten years with another option of eight years after the first period. The ownership for the ship changed hands until it got to the appellant who was aware of the charter. However, the appellant attempted to interfere with the charter rights of the respondent. The respondent then sought an injunction restraining the appellant. The injunction was granted in the court of first instance. On appeal to the Privy Council, the injunction was upheld. 3. Interference with contractual rights: It is a legal wrong to persuade or influence a party who had voluntarily entered into a contract to breach such contract. For example, A influences B not to perform a contractual obligation that he owes to C. C would have a right of action against A even though A is not a party to the contract between B and C.
In the case of Lumley vs. Gye (1853) 2 E & B. 216, the plaintiff employed an opera singer. The defendant knowingly induced the singer to refuse to perform. The plaintiff thus sued the defendant for tortious interference. The defendant was held to be liable by the court. Also in the case of British Motor Trade Association vs.. Salvador (1949) Ch. 556, A bought a car and covenanted with B that he would not resell it in a period of one year without first offering it to B. Subsequently C bought the car from A within a year’s notice. He was held to have interfered with B’s right. 4. Contracts of insurance: These are contracts between the insured and the insurer. In insurance cases which involves third parties as beneficiaries, such beneficiaries may have a right of action against the insurance company for non-performance of their obligations even though such third parties were not parties to the original contract. By the provision of S.11 of the Married Women’s Property Act 1882 it is provided that when a man or woman insures his/her life for the benefit of a spouse or children, the policy shall create a trust for the people mentioned in the insurance contract. This means that parties who are mentioned in the insurance contract have a right to sue against insurance companies that default. It should however be noted that when this act was domesticated in the western region, the provision of S.11 was missing. Thus, the Act applies in Northern and Eastern state since it is a statute of general applications and its application is subsequent to local enactments. Therefore, in Western Nigeria in such a situation, the court would have to apply the principle of trust. This was done in the case of Akene vs. British American Insurance Co (Unreported 1972) which was in the Midwest (formerly part of the Western region). In this case, the plaintiff was named as beneficiary in the insurance contract of the deceased, his father. The insurance company subsequently failed to pay the full amount of the award. In court, it argued that the plaintiff wasn’t privy to the contract. The court held applied the trust concept and held that the plaintiff was in the position of a beneficiary with the deceased as testator and the insurer in the position of a trustee. Thus, judgement was entered in the plaintiff’s favour. Another similar provision is S.6(3) of the Motor Vehicles(third parties) Insurance Act. It provides that in a motor vehicle insurance, the insurer should be prepared to insure third parties mentioned in the contract. 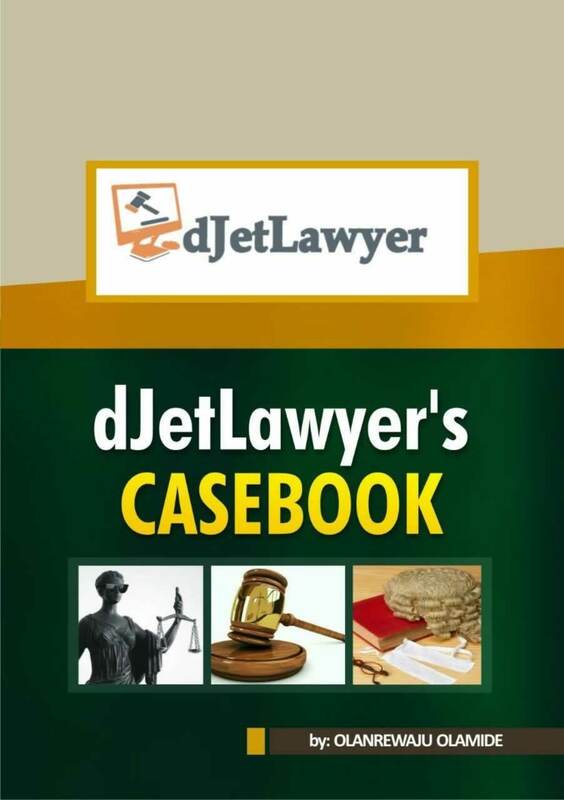 This was applied in the case of Sule vs. Norwich Fire Insurance Society Ltd. In that case, the plaintiff was a driver to the Action Group which had sought an insurance contract protecting it and the driver. Subsequently there was a motor accident involving the driver and a third party. The third party obtained judgement against the driver and a specific sum was awarded. The driver then sought indemnity from the insurance company. The insurance company refused and in court argued that the plaintiff wasn’t privy to the contract between it and the Action Group. The court held that provision had already been made for the defendant due to the provision of S.6(3) of the Motor Vehicles(Third Party) Insurance Act. 6. Banker’s Commercial Credit: Exigencies of modern transnational trade have given rise to letters of credit or what is technically described as banker’s commercial credit. A credit line is when a sum of money is kept with the bank in order for it to be used to pay a supplier once the goods have been successfully delivered. Banker’s commercial credit operates as a means of protecting international suppliers of goods. Importers usually instruct their banks to open a credit line which is later followed by a letter of credit to the supplier. The bank through its foreign agent intimates the international supplier that a credit line has been opened in his favour. The cost of goods would then be paid to him upon confirmation that the goods have been supplied according to the terms of contract. Thus, the supplier who is not a party to the contract between the bank and the importer would enjoy a benefit under the contract. Thus he also has a right of action against the bank in case of default. 7. Trust Concept: A trust is created where A enters into a contract with B for the benefit of C. In this situation C who is not a party has a right to sue in case of default by B. This right is one of the general exceptions to privity of contract. A trust arrangement is a contract between two parties which imposes obligations on the trustee for the benefit of the beneficiary. In the case of Lloyds vs. Harper, A guaranteed to the plaintiff that he would indemnify anybody that suffered loss as a result of transacting with B, an underwriter. Subsequently, the executors of A’s estate didn’t want to implement the guarantee that was made to the plaintiff. It was held that the plaintiff was in the position of a trustee to those that suffered loss in transacting with the underwriter. Thus, he could sue against A’s estate to enforce the trust. Conversely, a person who is a beneficiary in a trust can sue to enforce the trust if the trustee neglects his duties. An example of this can be seen in the previously mentioned cases of Akene vs.. British American Insurance Co.
Lecture delivered by Dr Abdul on Law of Contract, Faculty of Law, University of Ilorin. Motor Vehicle (Third Party) Insurance Act.